The Cameron Highlands located within the hills of the Titiwangsa range on the Perak-Pahang border, constitute one of Malaysia’s most well known hill- stations Named after Sir William Cameron, a British surveyor, who was commissioned by the colonial government to map out the Pahang-Perak border area in 1885, the highlands are a cluster of townships perched at heights of 1500 meters above sea level. 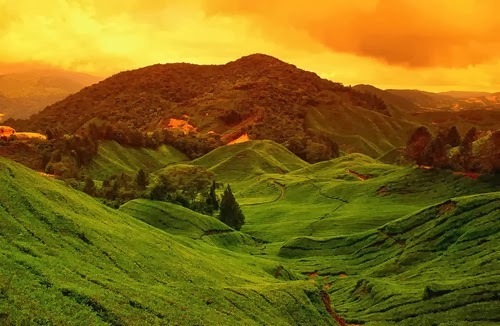 Cameron highlands are famed for their pleasant climes and receive much rainfall year round. Average daytime temperatures here tend to range between 20°C - 25°C through out the year, while average nighttime temperatures are constant at 15°C - 18°C, but have been known to dip lower during periods of heavy rainfall. This pleasant weather has bestowed the highlands with much fertile soil, ideal for the cultivation of crops like strawberries, tea and various other fruits, vegetables and flowers. Thus the area’s various districts like Tanah Rata, Ringlet, Ulu Telom, Brinchang, are littered with a wide array of farms. However, the landscape is hardly dry and uninteresting, rather it is lush and abounds with quaint cottages and tea rooms, flower nurseries, lively markets, charming resorts and more. Fruit-laden strawberry farms are omnipresent in the Cameron highlands. Farms like Big Red Strawberry Farm, Healthy Strawberry farm, Raju’s Hill Strawberry Farm offer freshly picked strawberries, strawberry jams and various other preparations made with this luscious fruit for sale. Select farms also offer visitors the chance to go strawberry picking. 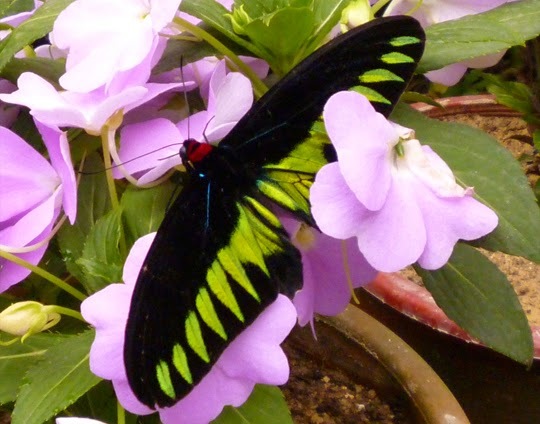 A favorite with visiting families, the Butterfly garden features a large walk-in enclosure set up on a hill side, which offers viewings of thousand of colorful butterflies dancing amongst lush floral blooms. Other attractions at the farm include a petting zoo and displays of live insects and reptiles. Most of the region’s flower nurseries are located in Bertam Valley and offer visitors to savor and shop for blooms like roses, carnations, dahlias, geraniums, fuchsias and many more. 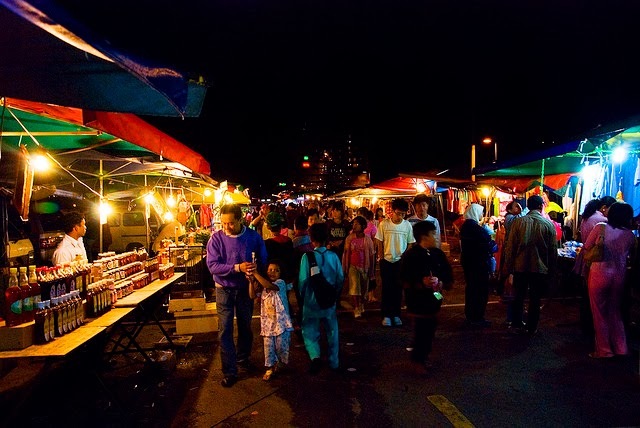 A lively night market is hosted every Friday and Saturday evening in Brichang town. Visitors enjoy shopping at this lively market where fruits, vegetables, decorative plants, tea blends, kitschy souvenirs and more, are offered for sale. The Time Tunnel, is a small museum set up by history buff and avid collector See Kok Shan filled with old world memorabilia, which chronicles the history of the highlands and is a truly interesting sight.